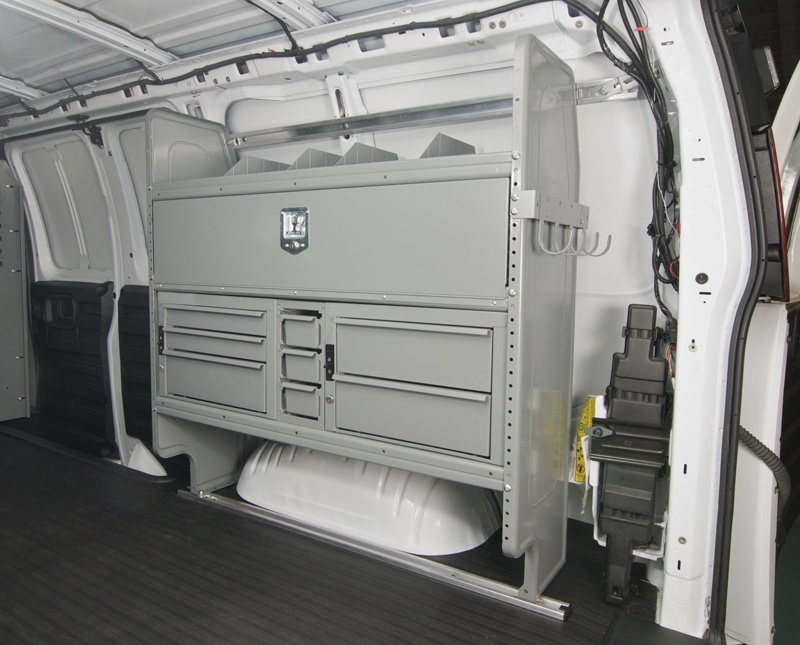 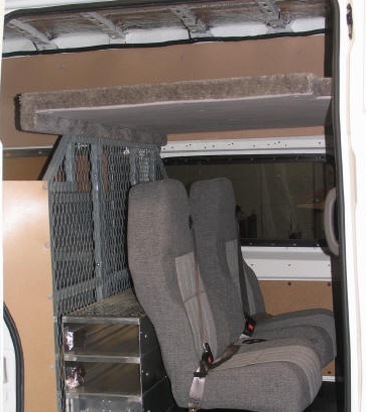 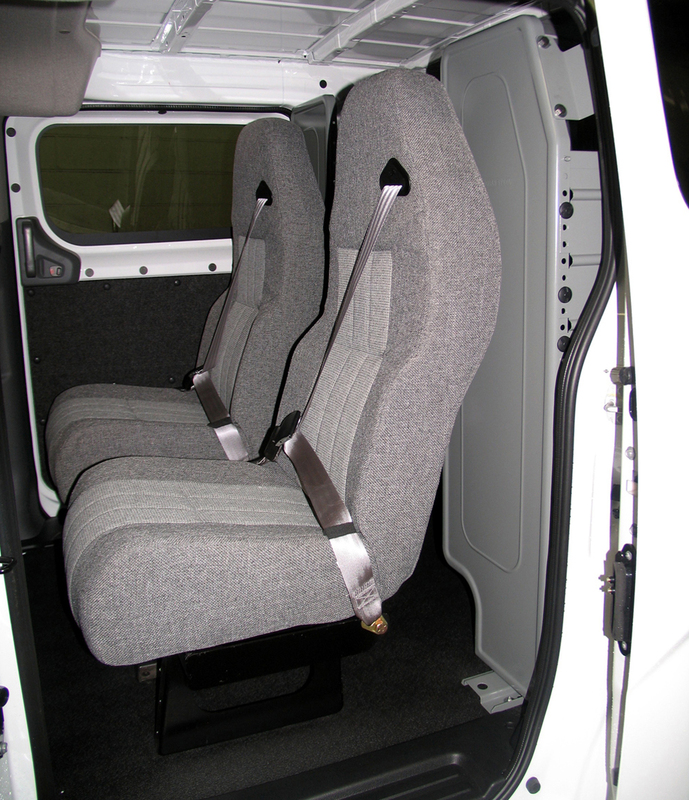 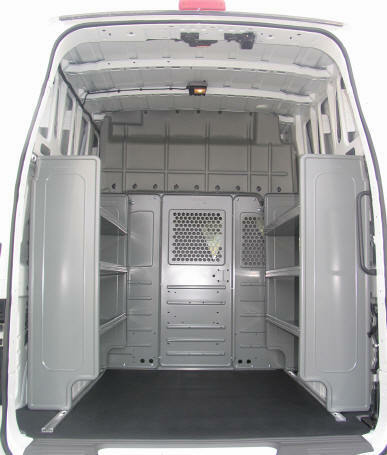 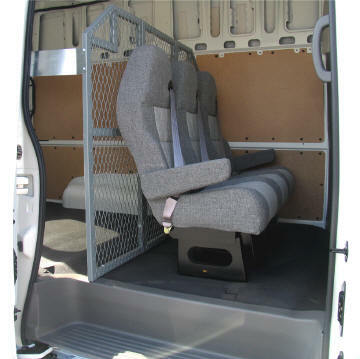 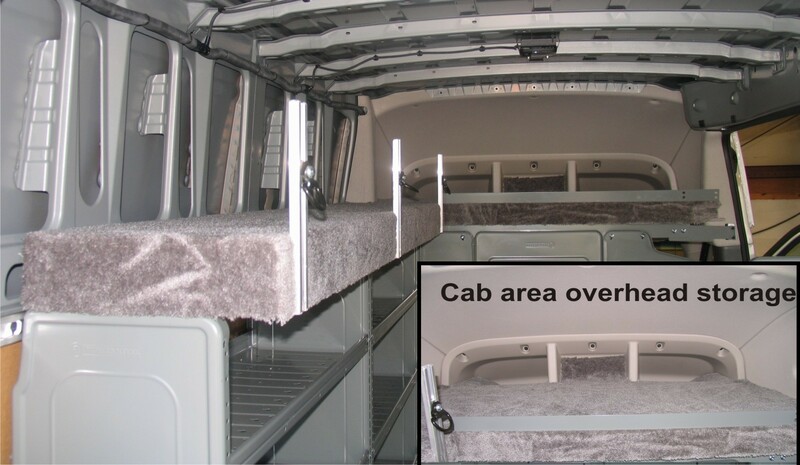 3 HighBack SafetyVan Seats with Integrated Seatbelts. 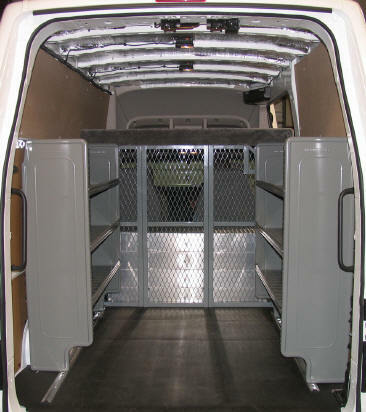 SafetyVan Protection System with Partition at side Door Opening. 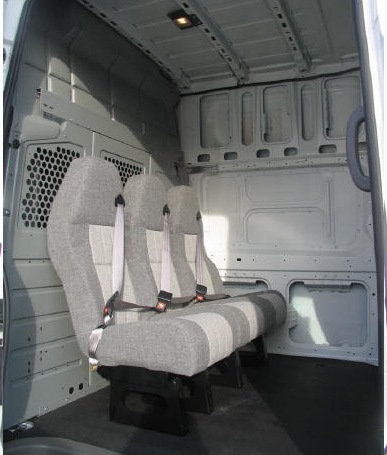 Seats are Mounted Directly Behind the Front Driver & Passenger Seats. 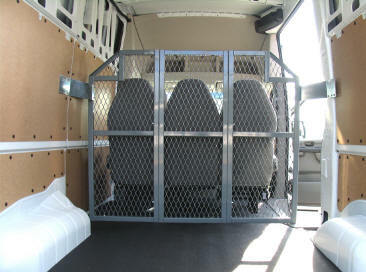 The Ultimate in Safety for transporting 3 crew members. 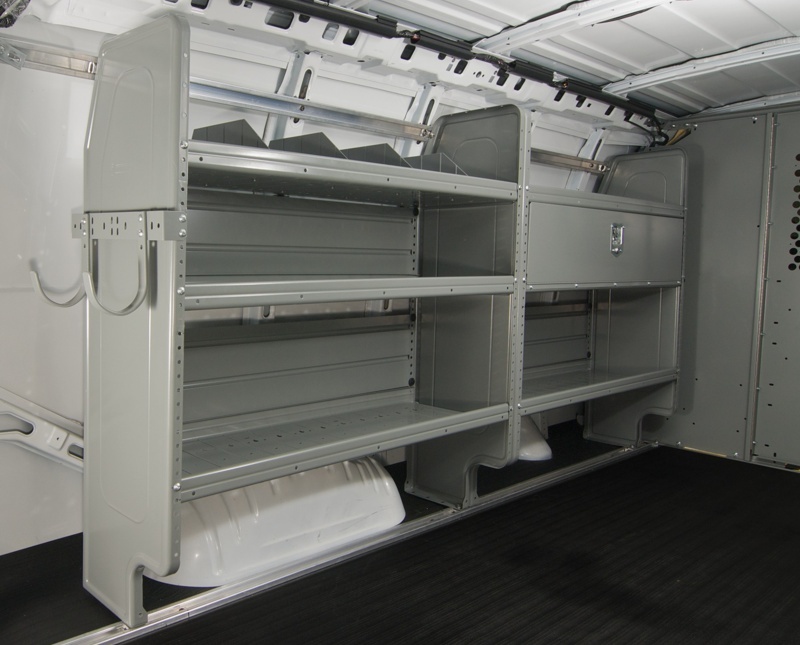 with shelves, bulkhead, and overhead storage. 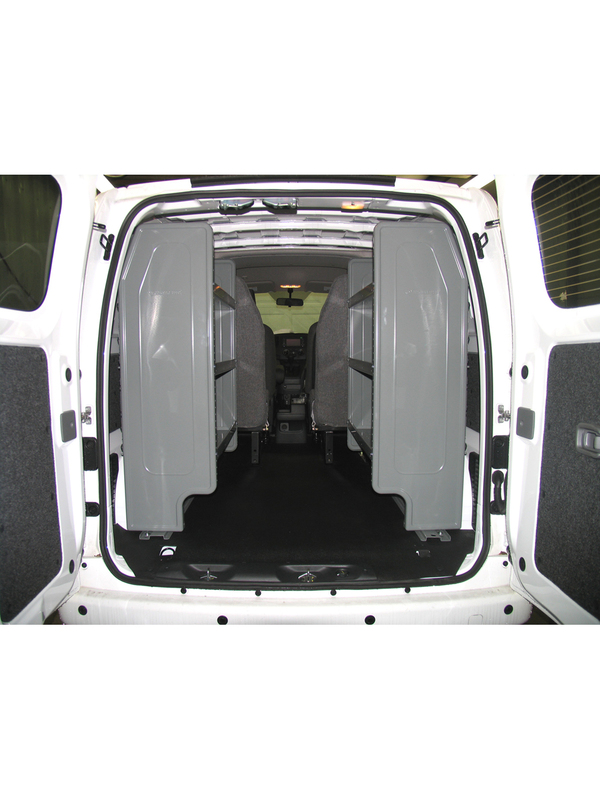 with floor to ceiling partition and crew seating for three. 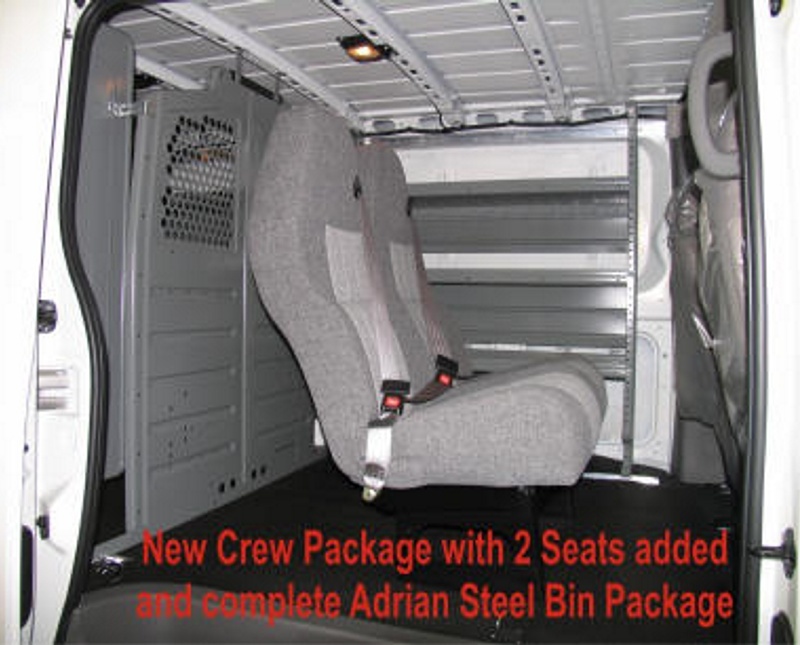 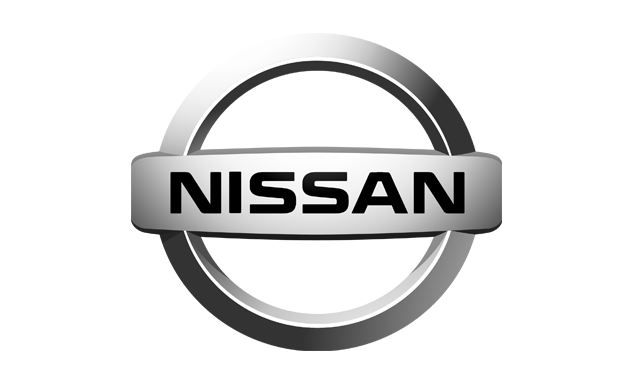 Customizers is proud to be a distributor for Adrian Steel bin packages.